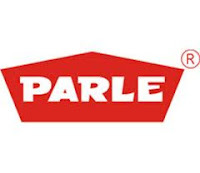 Parle Products the leading biscuit manufacturer in India has adopted a aggressive expansion plan to maintain its leadership position in biscuit segment through increasing its production capacities and distribution channels . The Rs6,000 crore biscuits major Parle Products, which has pilfered Britannia Industries Ltd’s market share, is looking to maintain its leadership in the branded biscuits segment. Parle claims to hold a market share of 40% in volume and 32% in value terms in the branded biscuits segment. At present, Britannia has a market share of 28% in volume terms and 32% in value. Analysts estimate Britannia has lost about 4% volume share in the last three years, whereas Parle has gained the same. Going forward, the company plans to double its distribution network and increase the number of its manufacturing units.